Are you in urgent need of a specialised Finance professional and need an immediate solution? Market fluctuations create periods where there is a spike in demand for specific skill sets in organisations when an interim hire is often the best solution. Does your company have an under resourced team possibly due to absences such as maternity/paternity leave, a recent departure or a secondment? All of which may hinder the efficient running of your business. Do you require specialist knowledge in order to assist the business during a time of transformation? A permanent hire may not be the right solution in this type of situation. In order to stay afloat in a competitive market, businesses must address internal processes proactively. Interims are immediately available to start as they have very short notice periods. Hiring an interim is beneficial when filling an urgent role as it avoids impulsive hiring of permanent staff who may not fit all of the set skill requirements. 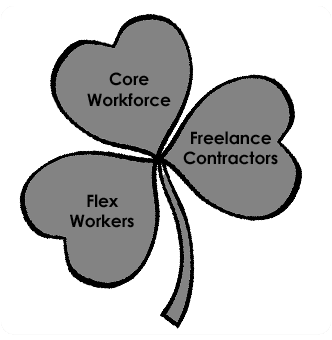 To achieve a successful business model, 3 types of workers are required: Charles Handy’s Shamrock Organisation deliberates that permanent staff essentially act as the core of the business. Part-time, temporary (peripheral) workers are needed to achieve flexibility of time, whilst interims/contract workers are used to efficiently ‘plug’ a skills gap and allow for the expertise aspect to be achieved. Interims are experts within their field (usually overqualified for the specific role). They bring a ‘fresh perspective’ and a wealth of industry contacts to a company – these high calibre professionals are perfect for guiding the team in the right direction and transferring specialised knowledge. 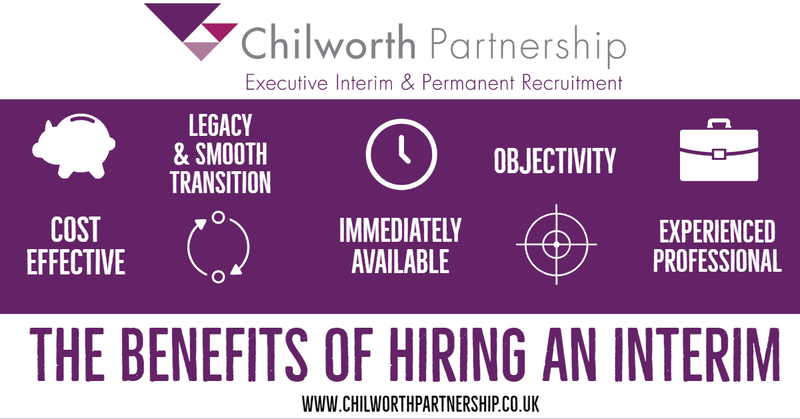 Hired when required – interims are a cost-effective strategy rather than being a permanent overhead. Added benefits such as car allowance are not necessary. They charge only for the days worked with no additional NI payments, employee tax etc. Substantial ROI exists when hiring an interim because when in a company crisis, often the cost of failure to deliver change far outweighs the cost of hiring. Immediate results – interims are largely delivery/ outcome focused and will seek to understand the key issues/objectives of a business and then set about delivering tangible/measurable results. They are able to easily adjust to new environments and they act as impartial members of staff who don’t concern themselves with company politics/personalities. Their future contracts depend upon positive feedback from clients therefore you can guarantee they will carry out tasks to the best of their ability in a timely and professional manner. Interim managers will spend time mentoring and coaching your team to ensure a smooth and successful transition even after the termination of the assignment to assist business transformation processes. Overall, interim managers are sourced to deliver flexible and cost-effective transformation solutions at speed. The Costs Of A Bad Hire 1 month to go!